Need to Learn About Compliance? We've got a guide for that. It seems everyone has questions about compliance. There’s a long list of issues to address and questions to get answered. It can be overwhelming to figure out because there has never been a comprehensive book about staying compliant as a financial planner...until now. 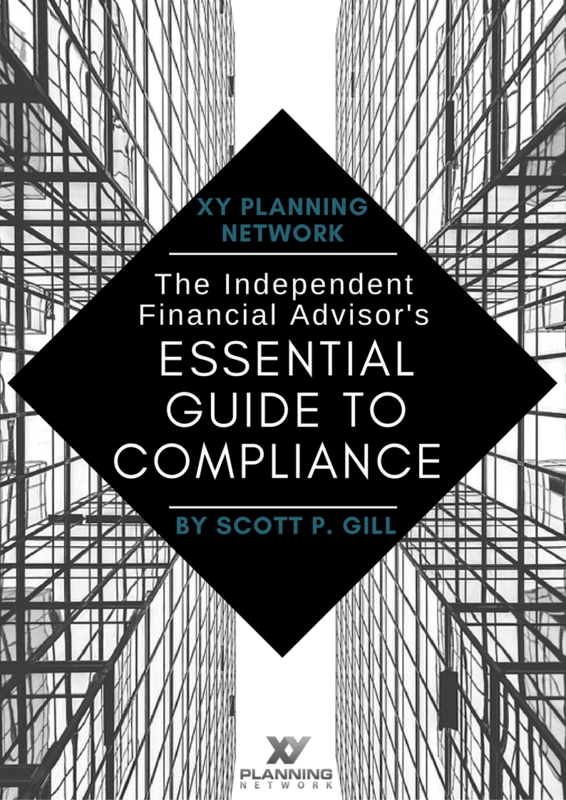 XY Planning Network's The Independent Financial Advisor's Essential Guide to Compliance will get you started on navigating the complex topic, but consider joining XYPN if you want an expert in your corner. Membership with XY Planning Network means you don't need to handle compliance on your own. Our members work directly with our compliance team including our Director of Keeping Us Compliant, Scott Gill, who authored this helpful guide.